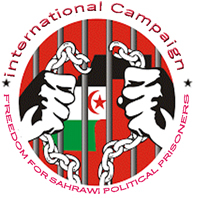 Shaheed Al-Hafed (Refugee Camps), March 17, 2018 (SPS) - An institutional delegation of the Spanish province of Castilla Leon has started a three-day working visit to the Saharawi refugee camps, during which they will meet with the Sahrawi authorities including the President of the Republic. The delegation comprises 70 personalities, headed by the speaker of the provincial parliament, with membership of several figures from government, parliament, Trade Unions, associations of friendship with Saharawi people and media. The Spanish delegation was received this morning by the Speaker of the National Council, Khatri Adouh, along with members of the Council. The delegation will also visit the National Museum of Resistance and will be received by the Minister of Occupied Territories and Community Abroad, Bashir Mustafa, as well as the Governor of the Wilaya of Awserd, Maryam Hmada, at the headquarters of the Regional Club in the Wilaya. The delegation is expected to be received this evening by the President of the Republic, Secretary-General of the Polisario Front, Brahim Ghali.